CAD Designers has produced many drawings for location of medical gas lines, zone valve locations, node locations and riser diagrams of all medical gases including Medical Oxygen, Medical Air, VAC, Nitrogen, Nitrous Oxide, Carbon Dioxide and EVAC. 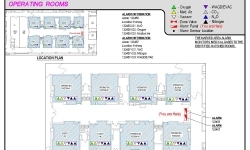 We have drawn diagrams indicating location of all gases controlled by each zone valve and monitored by each alarm. 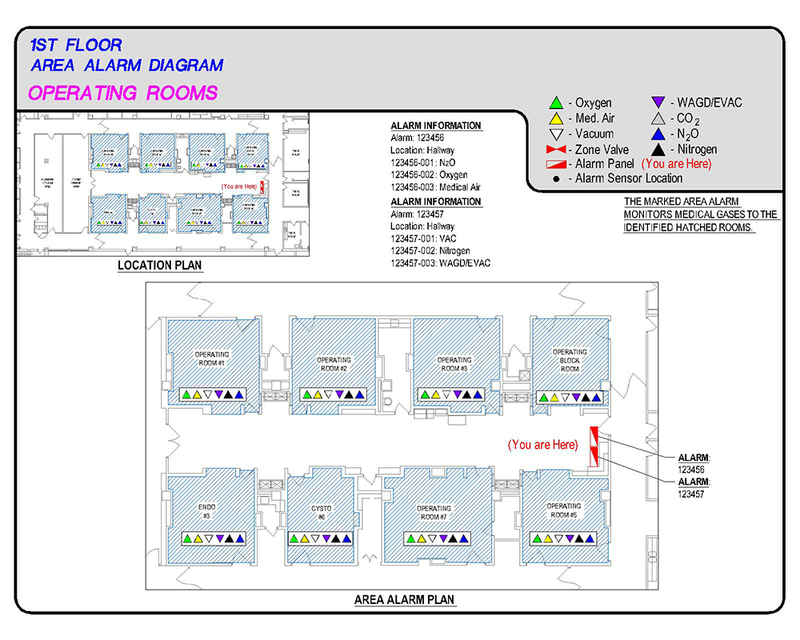 We have drawn diagrams indicating location of all gases controlled by each zone valve and monitored by each alarm. We can work with your freehand sketches, surveys and previous projects. We have the ability to take your design from the conceptual phase to final as-builts. We can complete site walks to gather existing medical gas locations to provide existing conditions plan. We have helped several medical firms satisfy their clients’ needs. All our work is completed locally. Want to learn more about Medical Gas Drafting?